Last year, NPQ reported on a fascinating study from Fidelity Charitable about the strong positive correlation between volunteerism and donations. This story out of Detroit gives more weight to the idea that people who give of their time are equally dedicated to giving in other ways. Planned giving officers work hard to secure major gifts from donors that support their causes. 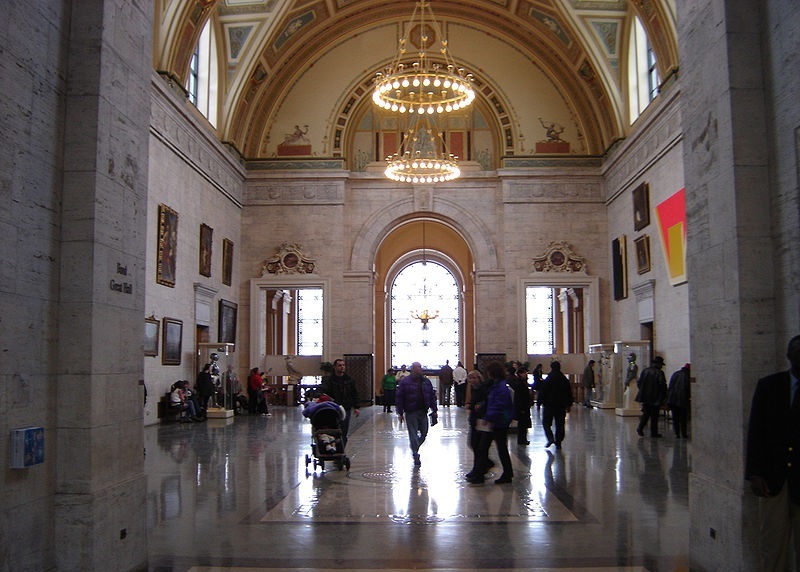 Imagine the surprise of the planned giving officer of the Detroit Institute of the Arts (DIA) when she found out that a modest volunteer and former art teacher had willed the museum almost $2 million. The Detroit Institute of the Arts announced on Tuesday that Elizabeth Verdow, an art teacher who spent her entire career working for the Detroit Public school system, has bequeathed the art museum $1.7 million dollars. Verdow required that $450,000 be funneled into the museum’s endowment for annual operations, while the remaining $1.26 million is earmarked to buy contemporary art and sculptures. This is great news for the Detroit Art Institute, which has been on an uphill battle to regain its footing after fighting off creditors for a year and a half to keep its arts collection during the city of Detroit’s bankruptcy restructuring. After settling that issue in November 2014, DIA not only agreed to raise $350 million for its endowment and annual operations for the next eight years, they also had to raise an added $13 million in the last year to top off the $100 million that the museum committed to give as a part of the city’s Grand Bargain. With those kinds of fundraising goals, DIA was expecting major gifts, but never could they expect such a generous gift from Elizabeth Verdow, who had been a volunteer at the Detroit Institute of the Arts for 19 years. According to the Detroit Free Press, Museum Planned Giving Officer Deborah Odette said that Ms. Verdow conveyed to DIA officials in 2003 that she was going to leave the museum a gift in her estate, but they had no idea of the scope or size. Even more astounding is that a public school art teacher and volunteer such as Verdow would even have the finances to bequest such a gift. She is reported as having no kids or ever marrying, and no other relatives beyond a distant cousin. DIA was the sole beneficiary of her estate, which had an initial estimated worth of about $1 million, but reconciling in probate court for almost double that amount. Little else is known about Elizabeth Verdow, who passed away in 2014 at the age of 86. She lived in Farmington Hills, Michigan, and was a volunteer for DIA from 1990–2009. She held a bachelor’s degree in arts from Albion College. She was known for her love of the arts and of the museum. Museum gift shop manager Anna Helkowsky described her to the Detroit Free Press as “the quietest and most unassuming person that I have ever met as a volunteer. She was one of those wonderful people who would come in and just say, ‘What may I help you with today?’” Helkowsky, too, was surprised when advised of the amount of Verdow’s gift.